We’ve all heard of the placebo effect right? 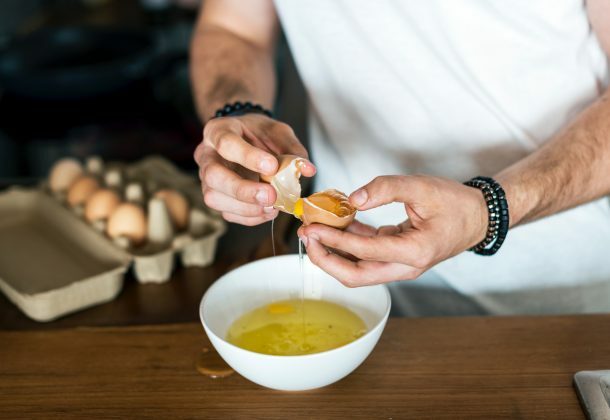 The ability to have a positive and beneficial effect from eating or consuming something that has no active component meant to improve health or performance. For example, I could give you a pill and tell you that you will feel amazing from taking it. This is even in absence of any compound that would cause this desirable effect. However, you’ll still feel better for taking it. 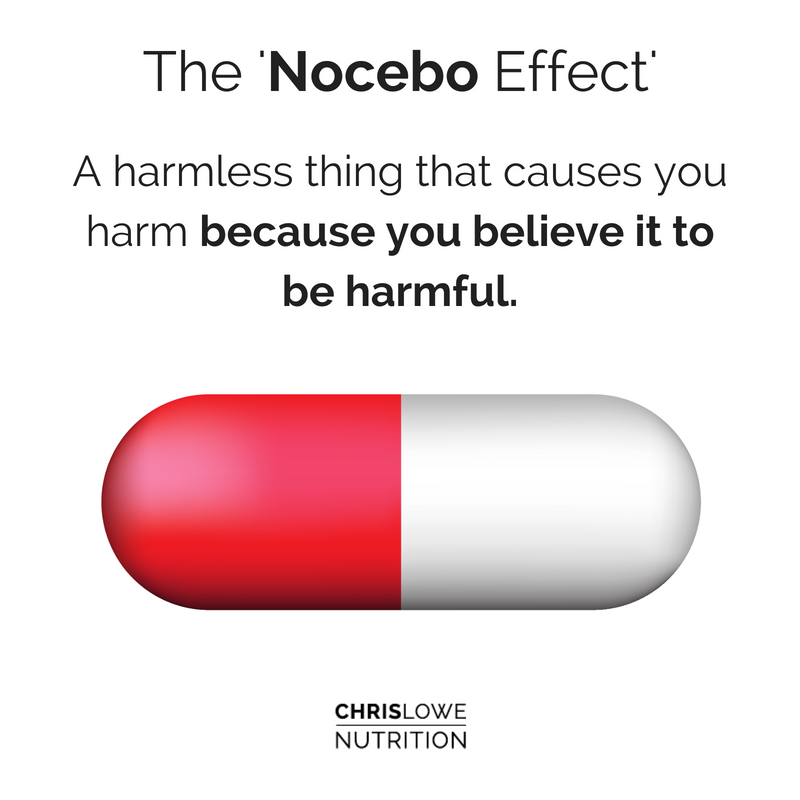 But, this ‘nocebo effect’ is somewhat kept under the radar. You’ll see many people have an ill effect from something that doesn’t actually cause any harm, simply because they believe that it will. For example, the glutenz. Capannolo et al (2015) looked at gluten sensitivity in subjects complaining of gluten related symptoms. They were provided with a gluten free diet for 6 months then ‘challenged’ with gluten for 1 month. This was done by consuming either a muffin containing 11g of gluten or 0g of gluten (placebo). Funnily enough, during the reintroduction phase, symptoms were worse in the placebo group with zero gluten. So, why is this? Most likely, due to the nocebo effect. They thought that these gluten free muffins contained gluten, therefore had an adverse response. So, if you have a negative attachment to a certain food because of your beliefs or because someone (friend, media etc) told you that it was bad, you most likely will feel worse off for eating it. In the 20 people with non-celiac gluten sensitivity, only 4 were able to correctly identify whether they had consumed gluten. By all means, there are other substances such as FODMAP’s that can cause gut issues. However, the nocebo effect plays a large role in this too. This has also been confirmed when a gluten challenge was introduced during a low FODMAP diet (Biesiekierski et al, 2013).. Just an FYI and some food for thought. Sometimes, it’s just in your head.